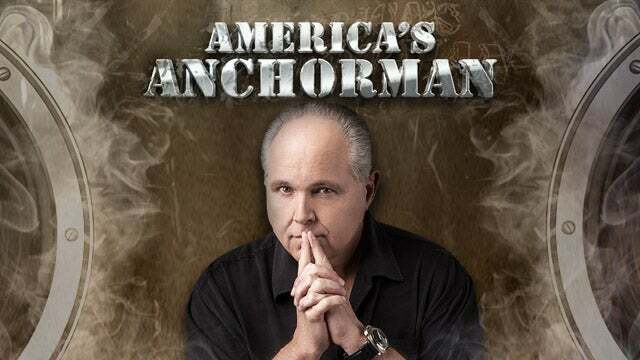 RUSH: In the meantime, there remains something that’s true each and every day. There are two Americas. There’s the America that’s functioning out there, the people that get up and go to work every day and do their jobs, and then there’s the America that the media presents to us each and every day, and very little in common exists between the two. As I so astutely, and if I might say brilliantly observed yesterday, if you do nothing but have a steady diet of the media and you happen to be Republican or conservative, you probably by now are convinced it’s over, not just for the midterms, but forever. And you may as well just admit it and stop caring about any of this and try to live your life without having any of this affect you and stop worrying about what’s happening to the country ’cause we’ve lost the country, just a matter of time. We’re gonna officially lose the country in November when the blue wave sweeps all of us out to sea. But then if you look over here at the country where the people are getting up and going to work every day, you see an entirely different picture. For example, jobless claims. Only 233,000 last week. That means that jobless claims have now been held below 300,000 for 162 consecutive weeks. That’s the longest streak for weekly records dating back to 1967. In other words, the employment situation is so dramatically improved out there, and yet nobody is talking about it. The Drive-By Media cannot spend more than 30 seconds on anything that doesn’t have to do with getting Donald Trump out of office, with humiliating Donald Trump. Anything that requires… Any news story that’s not that, they can’t even find 30 seconds for it. I’m not saying budget 30 seconds. They can’t find 30 seconds of interest for anything. You know, the Drive-Bys only report news that they think will drive down the stock market, only report news they think will hurt the economy. Today they’re telling us, for example, that Trump’s crazy threats about launching cruise missiles against Assad will get us into a shooting war with Russia. They don’t tell you Russia can’t keep up with us in any way, shape, manner, or form if something like that were to happen. But it isn’t gonna happen, the odds are. Which is another thing entirely. How many times have you read, for example, since December that Trump’s gonna fire Mueller? Trump finally tweeted. He said he had read in the fake New York Times that he was gonna fire Mueller last December. He said, “If I wanted to fire Robert Mueller in December, as reported by the Failing New York Times, I would have fired him” by now. They keep reporting, “Trump’s gonna fire Mueller! Trump’s gonna fire Rosenstein!” because they’re trying — believe it or not, even though it’s obvious to everybody. They’re still goading Trump and trying to make him do something that would inflict self-harm, because all of these investigations designed to get him haven’t gotten him — and despite what you might think, they’re not close yet. They don’t have anything. And the best evidence we have that they don’t have anything is if they had it — if they had that smoking gun, if Mueller and whoever else looking into this had found the smoking gun — it would have been leaked within days of its discovery. Now, last week, for example, Trump’s tariffs were gonna get us into a trade war with the ChiComs, but that’s not what happened. What happened? The ChiComs blinked. Well, half blinked. The ChiComs blinked. Trump prevailed on this, so far. The week before that it was Trump’s threats against Amazon were gonna destroy Amazon and other online companies. What happens to all these stories? What happens to all of these things that Trump is gonna destroy, gonna do, gonna cause and they never happen and then we’re on to the next one? This is a series of classic illustrations of what I mean by Drive-By Media. And before Trump was gonna destroy Amazon, the week before that we were told that the investigations of Facebook would not only destroy Facebook but every other online company.